Welcome to the first Guitar Of The Month contest for 2017! 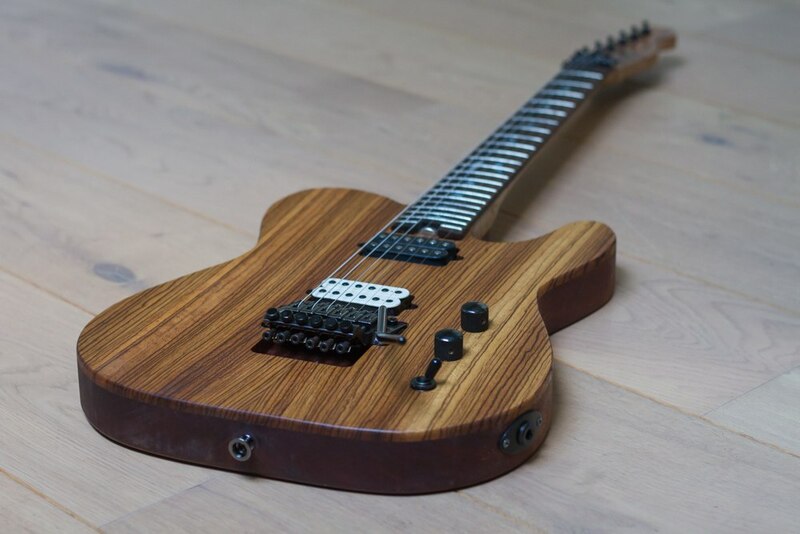 ProjectGuitar.com's Guitar Of The Month contest is a showcase for members to exhibit their creations and to vote on their favourites. 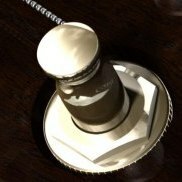 The contest is open entry for any and all members, new or old. Winner(s) receive a featured article at the head of the ProjectGuitar.com homepage, a photo posting to our Facebook and elevated member status. ProjectGuitar.com receives tens of thousands of unique visitors monthly; Guitar Of The Month is a great way to showcase your creation to the world! Posting a link to your guitar-building website, Photobucket, Facebook, etc. is fine, even if it is your business. In the spirit of fairness we encourage instruments made by professional builders to have that disclosure made so there is a more even balance between weekend warriors and grizzled veterans. If you documented your build in the forums, post a link to the thread! 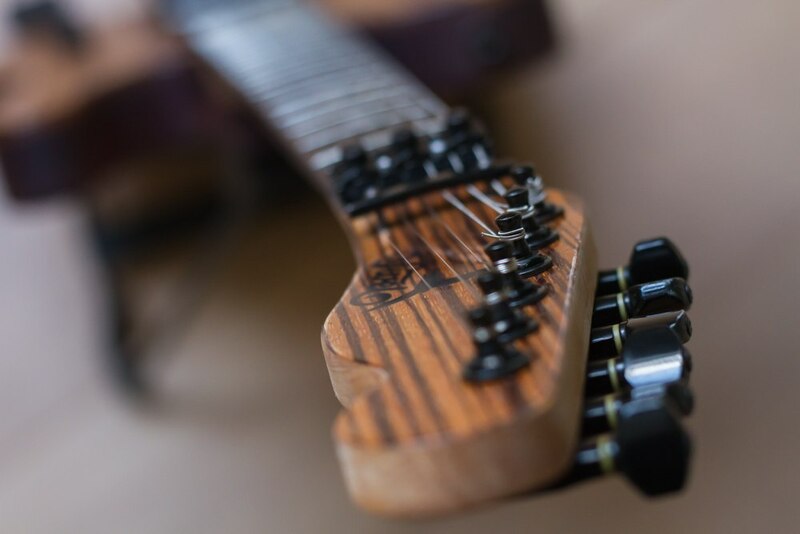 Instruments with a build thread shared tend to attract more votes from the general community. Unsure what to write? Have a look around the entry archives for suggestions. It is a pretty heavy guitar, but ended up perfectly balanced when on a strap (doesn't nose dive or pull the neck up). Sounds fantastic, plays fantastic... extremely happy with the results of my first build, and on my way for #2. Thank you to many of you who provided information (whether you knew it or not) that helped me actually accomplish a 15 yr. dream. Just missed the December 2016 deadline because I had to get some good pictures taken by my wife,, but finally I am able to post here! 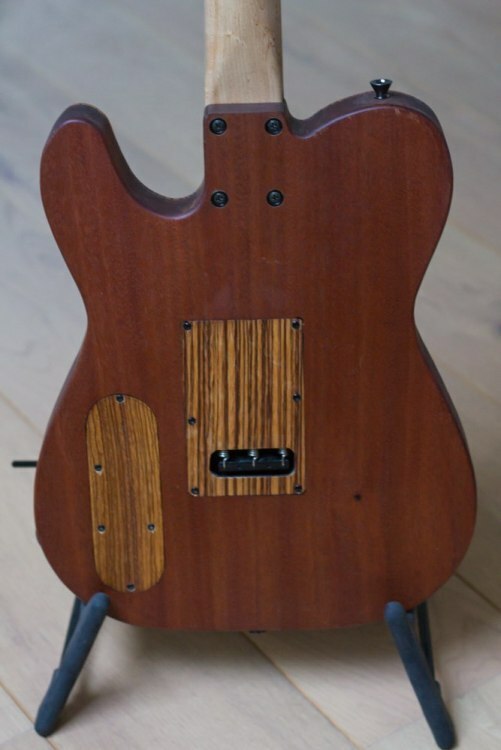 I initially started with a refinish/customizing project, but ended up building a guitar from scratch with raw wood, which I didn't think was do-able for me yet, so I'm thrilled already to be able to post in this topic! I designed/built this guitar for myself. 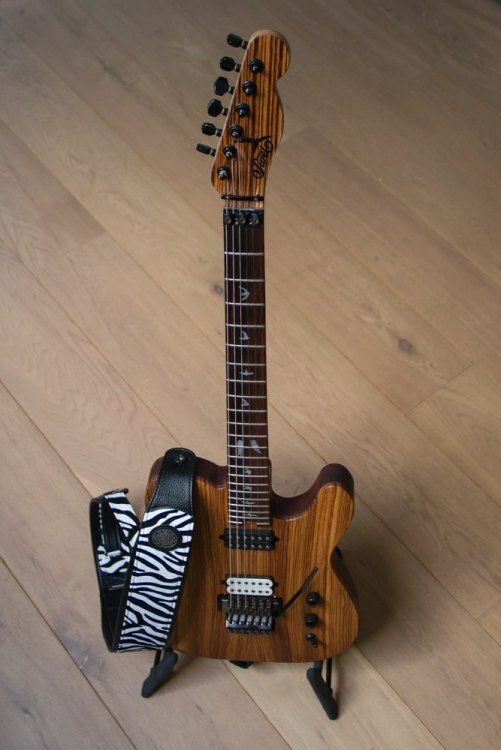 Specs were based partly on my Peavey Wolfgang (neck) and on the specs of an Ibanez Satriani JS10th (electronics, radius). 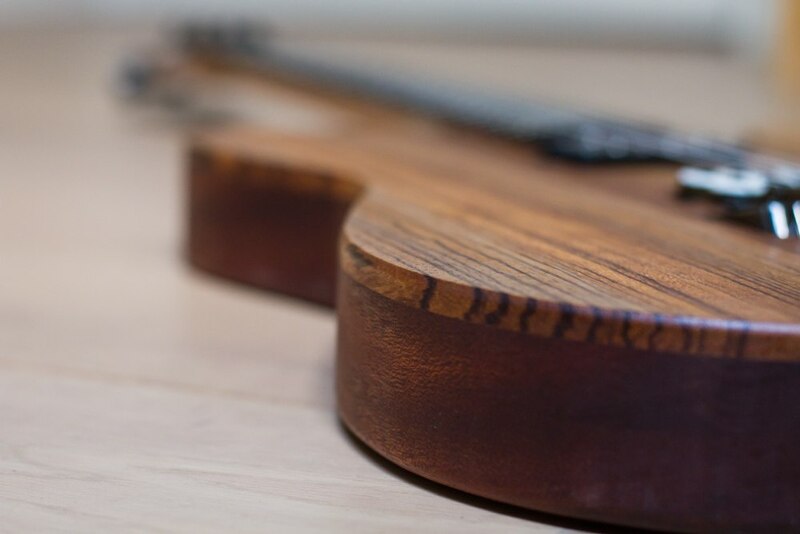 the looks were inspired by Searls' guitars. I used the JS10th specs as I once owned one and really liked the radius of the fretboard and the versatile pickups. The Edge trem I had available and I really love Floyd trems, so that was an easy pick. Finally the birdseye maple neck because I love my Peavey wolfgang neck and because I'm a sucker for birdseye maple, so it will probably end up in every guitar I'm going to build! I was able (fortunately) to use a friend's workshop to do bandsawing and some bandsanding. Most of the work was done in my garage and back-yard however. This guitar is special to me as it proves that with little professional tools but a lot of care and attention basically anybody can build a good guitar. 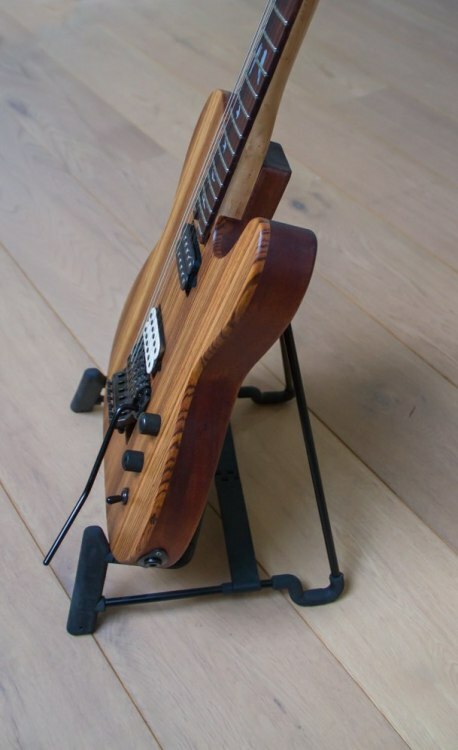 I've had the idea of building a guitar for a long time, but just not felt comfortable doing it and stuck to customizing. In the end it's just a question of doing it! Special thanks to all you guys on ProjectGuitar providing tutorials, tips&tricks and advice. Without this I wouldn't have been able to get this result. I've learned tons of stuff for my next projects. Swel is frisian ( local language ) for Swallow and is the symbol of my town so I used it as a name for my guitar(s) and hence also the inlays. My entry in January's contest is a custom black walnut semi hollow T style guitar...with a bit of a special story. 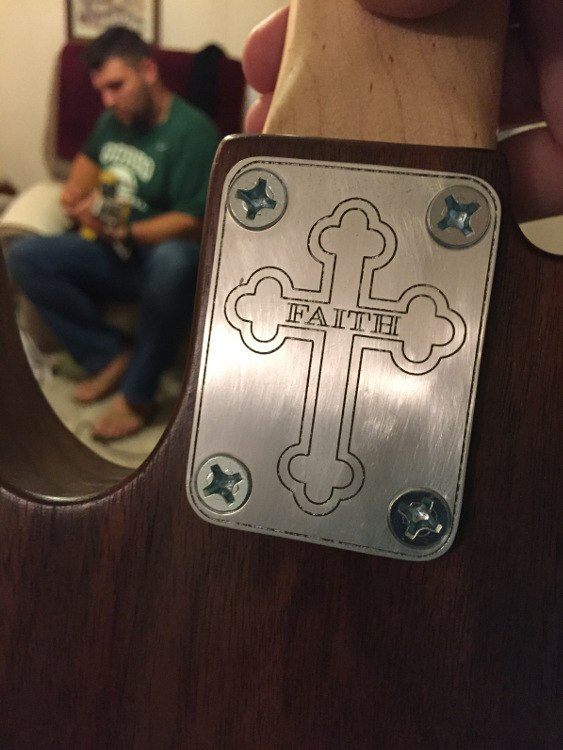 This guitar was crafted for a young man, a youth minister, with black walnut from a tree that had been felled in his grandfathers back yard. This stash of black walnut had been sitting in a barn for at least 30 years...maybe more and I was approached about building a guitar from it. I was allowed to keep the rest of the wood for any future builds. 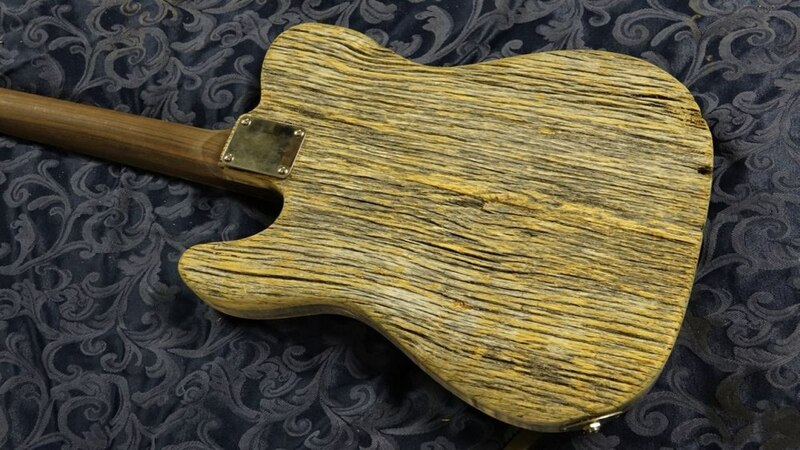 My aim was to show off as much of the grain of this beautiful wood as possible,..so there would be no pick guard. Also, because it's a semi hollow, I could book match the top for extra beauty. I had recently gotten into CNC and I wanted to try my hand at doing some engraving. I set about designing patterns for the control and neck plates and settled on the designs you see in the photos. The neck plate design is especially meaningful to him. I also used the CNC machine to cut the templates used to build this guitar. 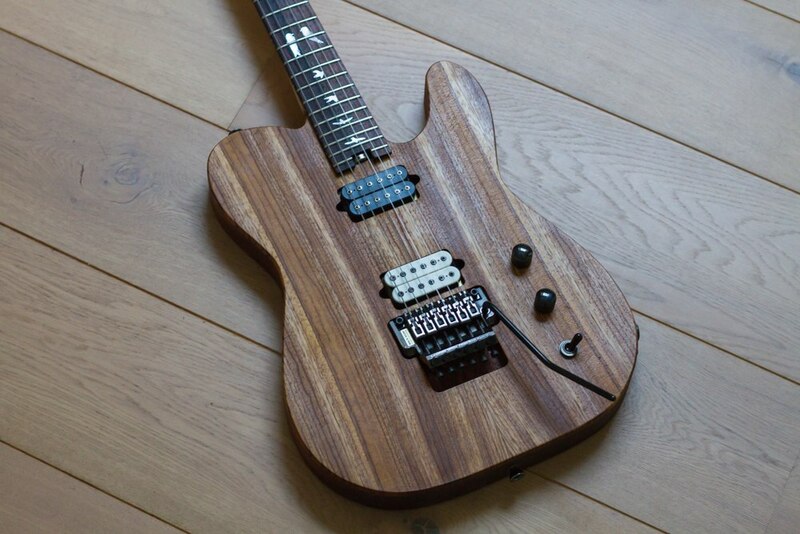 Most of this guitar is the standard T style flavor with the exception of the dual rail humbucker in the bridge. I added that to give him a broader choice of tones in the music he creates. I know that when he plays this in church, it carry so much extra meaning into the music he's making. It was very satisfying to hand the guitar off to him..
Its been a while but time to post my latest. Full build vids included in playlist. 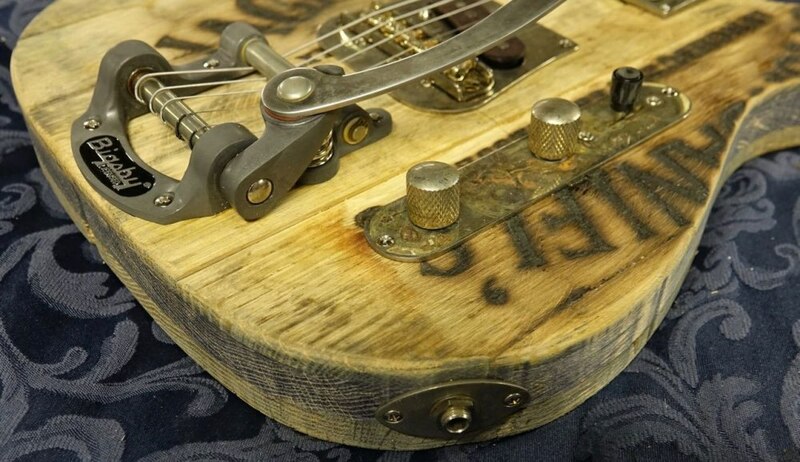 This is a Jack Daniels Barrel Top Guitar. 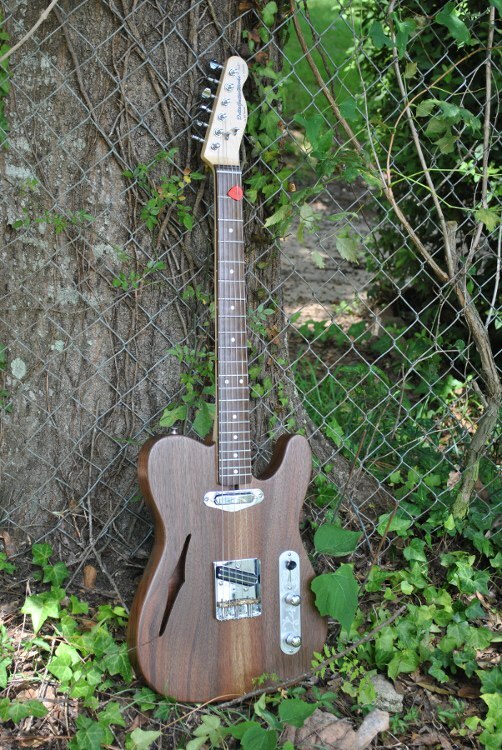 I purchased half barrel tops down in Lynchburg and could just get a tele top from them. I resawed the top and let it dry, then pieced it together. Back is reclaimed barnwood with an Oak Core drilled out. Neck is a WD rosewood neck that is unfinished like the rest of the body.